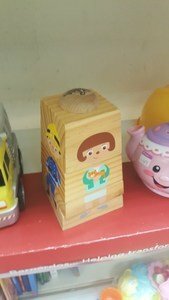 Montessori materials and wooden toys can be quite expensive. Therefore, shopping in charity shops and second hand sale is a money saver. 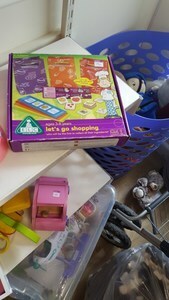 End of July is a great time to shop in charity shops for educational supplies: it’s when the teachers sort their classroom (potentially at the end of August too). 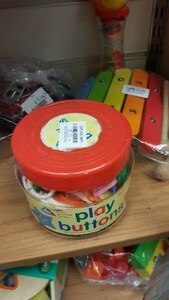 Try to go without your children as they will make you buy that flashy plastic “horrible” toy. You have been warned! If you like to have seasonal activities, find what you need in charity shops such as heart shapes ice cube tray, small pumpkin shape bowls, tongs in shape of a crab, Christmas tree shape box. 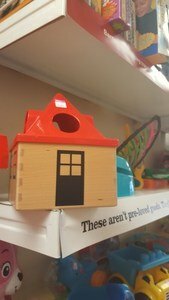 Brilliant for cultural items, I cannot tell the number of “holidays” souvenirs waiting for you in the charity shops! (china tea set, boomerang from Australia, mini Eiffel tower…). 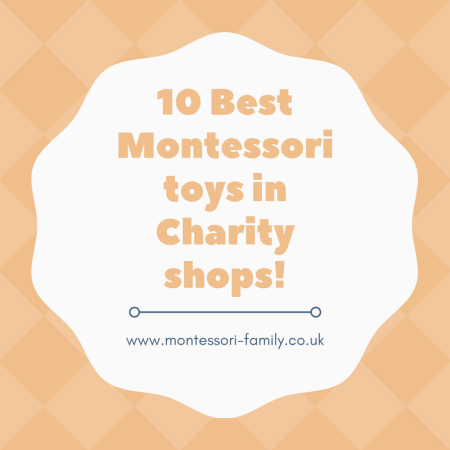 Now here my 10 best toys and Montessori material in charity shops and what you are sure to find most of the time! 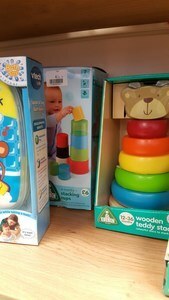 Baby toys such as shape sorting box, peg board, hammering set, push along and pull along toy, wooden peg puzzles. There is something like that every week! 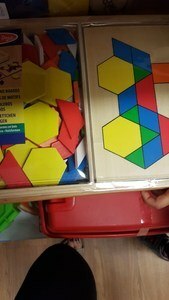 Constructions toys such as wooden blocks, duplo, legos, other kind of constructive toys. 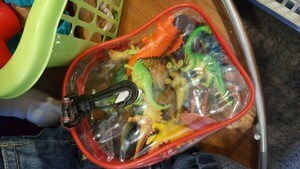 Plastic animals included many Schleich ones! 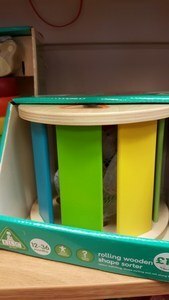 I was shuffed to find 5 big Schleich animals in one of my last trips! I bought the lot for £5! Items for treasure baskets and heuristic play, in no particular order: kitchen paper holder, mug holders, big baskets, napkin rings, massage tools, lavender pillow, big wooden and metallic bangles, wooden eggs, kitchen tools, cute little boxes, purses! Wooden musical instruments. I built up my collection that way: small tambourine, shakers, chinese tambourines, exotic musical instruments too! 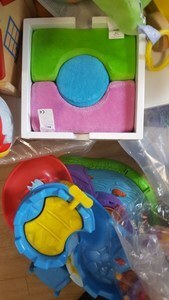 Trays, sorting boxes, boxes with lids, purses. Small jugs. I bought 3 in charity shops (two with lids, one was sadly broken so I was happy to find a second one, and a 2 glass wines jug). Bonus 😉 Costumes, and dress up items such as scarves, pieces of fabrics, wigs, fun sunglasses, necklaces, ties, hats and more! Now, a collection of what I have found recently! 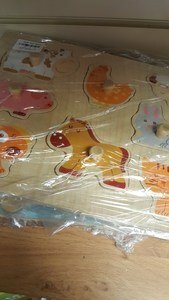 Watch the First Lesson of my Montessori Parenting Course for FREE! 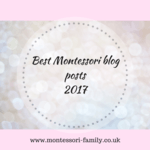 Subscribe to my newsletter and receive information about my courses, this blog and freebies including the First Lesson of the Montessori Parenting course!